I like to keep things simple. Maybe I am just stubborn. Ok yes I am. I have been shooting since a very young age. Now I am getting close to the big 5-0. Up until last year whenever I would go shooting I would grab one of my backpacks and toss everything in there. Good enough right? I thought so. Well the problem was when I got to my destination I pretty much always had to unpack everything. I had stuff laying all over the place. Now that I think of it, that might explain why some things never made it home with me. Last year at SHOT Show I was introduced to the VERTX A-Range Bag. After seeing the demonstration I was pretty impressed. It is well thought out and very well made. As soon as I returned to Phoenix I immediately ordered one. I have now been using the range bag for close to a year now. I love the bag. Why I never used a range bag before is beyond me. I like the garage deck design idea. In the top compartment you have space for loose items. I keep my eye and ear protection in there. If shooting pistols that is also where I keep them along with the magazines. It does come with a nice magazine pouch FYI. Ammo I usually toss in the 2 drawers in the bottom of the bag. Access to those is from the side which is very convenient. If you like to reload these drawers are perfect for spent brass. In terms of transport it does not get much easier. 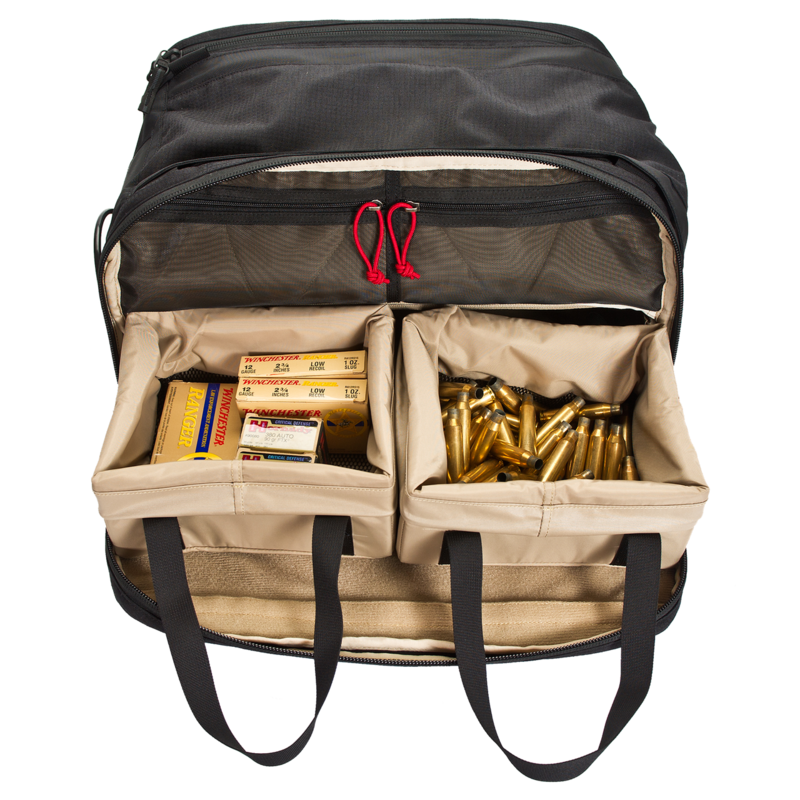 The padded shoulder strap is comfortable and leaves both hands free to carry other important items such as a rifle. Here is a nice video overview of the range bag done by VERTX. He goes over the different features in-depth. This is a variation of the private demonstration I received last year at SHOT Show.